Blog topics cover a range of essential material from architecture resumes and portfolios to interviews and negotiations. 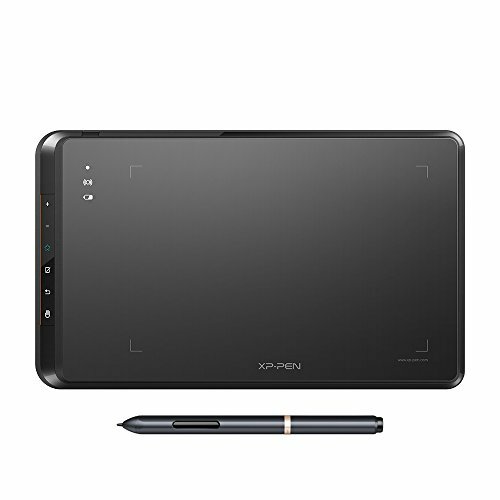 For this post, I have put together a collection of the best drawing tablets available for purchase. Unleash your creative side with these stunning tablets. Combining the flexibility of freehand drawing and precision of digital design, these amazing tools are only limited by your imagination. So if you are looking for a gift or something for yourself, you are sure to find something that fits your needs and budget. So here is my list of The 10 Best Drawing Tablets. Functions allow users to sketch, paint, design and edit directly from the tablet screen. Enjoy the high quality glass design which gives you high precision and prevents dust build up. Our PN03S stylus technology provides 8192 levels of instant pen pressure sensitivity. Delivers life-like colors, greater contrast, sharper, and vivid images. Features USB Type-C input design. 11mm thin design, 3 in 1 cable, and a new brightness adjustment button. 6 fully customizable express keys create a highly ergonomic and convenient work platform. One-click toggle allows you to switch between Pen and Eraser instantly. Adopted the newest F900 High Tech IC, to make lines flow smoother and perform better. Windows 10/8/7, Mac OS version 10.8 or later, and major graphics software such as Photoshop, Painter, Illustrator, Clip Studio, and more. Pen pressure levels offers a more accurate and precise movement of the pen-slider, makes your drawing line smooth and natural. Embedded Signal Interface: Subtly avoid the issue of signal cable dropping easily during moving process. 10 express keys available to be customized according to your own needs. 5 Menus Button are placed on the left side of the display. Find a perfect and comfortable position with the adjustable stand by dragging the switch to create your work. Most of the functions such as sketching, painting, designing and editing can directly be fulfilled on the surface of the screen. Can adjust different angle to make your drawing much more comfortable. 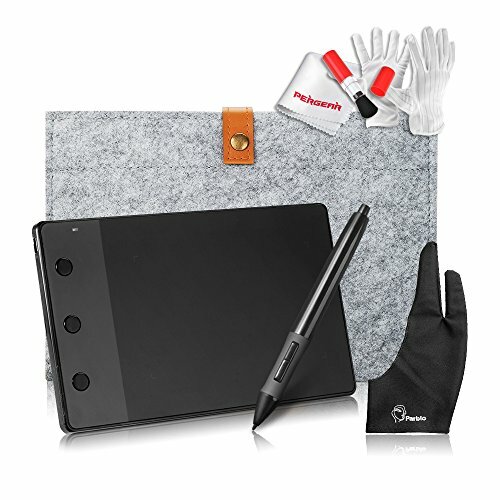 Includes two original rechargeable pens, two pen charging cables, VGA cable, USB cable, power cable, drawing glove and user manual. Large screen: 19 inch active area. Compatible with Windows XP/Vista/7/8/8.1/10 and Mac OS. Work in Adobe Photoshop, Illustrator, Autodesk Sketchbook, Corel Painter, Autodesk MAYA, ZBrush etc software. New pen technology supports 8192 levels of pressure sensitivity, tilt-response and virtually lag-free tracking. Speed your workflow with multi-touch gestures. Utilizes Radial Menus and side pen switches. USB port, Windows® 7 or later (64bit). Mac OS 10.10 or later, Bluetooth Classic for wireless connection to PC or Mac. Bluetooth LE for wireless connection to mobile devices (in paper mode). Internet connection to download driver and Software. Every stroke you draw on the tablet can be precisely and originally recorded by pen and tablet and immediately display on your computer screen. 13.8" x 8.6" large working area and 12 customizable express keys. 12 Customizable Express Keys set individual shortcut way to skip tedious typing and clicking time and improve efficiency. Suitable for both right handed and left handed users, the default mode is right-handed Mode. You can set up the left handed mode through the advanced setting in the driver platform. Can be continuously used for about 40 hours without power cable connected due to the 2000mAh high capacity built-in Lithium battery. 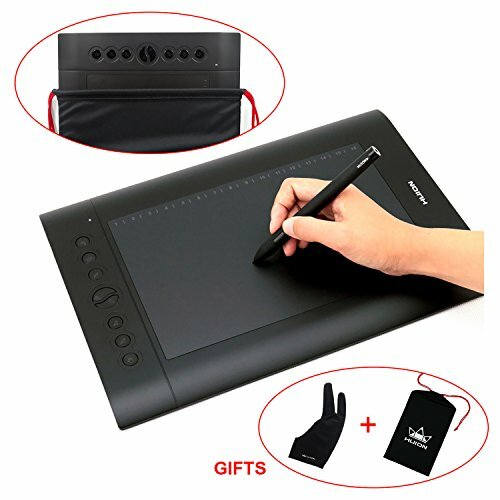 Comes with a rechargeable pen P80 providing professional drawing experience. OS Compatibility: Compatible with Windows 7/8/8.1/10 and Mac OS 10.8.0 or above. 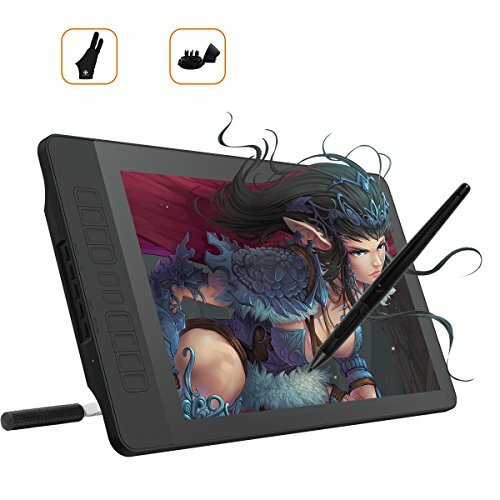 Works with major programs like Adobe Photoshop, SAI, Illustrator, Clip Studio, Krita, CorelPainter, Manga Studio and more. 4 LED indicators show working status directly and obviously for you to adjust tablet into working status simply and quickly. 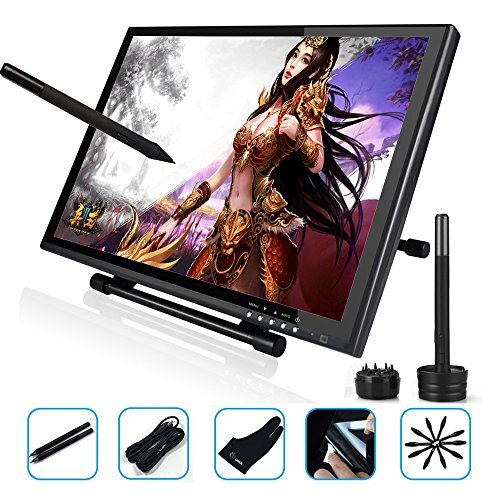 Shenzhen Huion Animation Technology LTD.
Large Compact Drawing Surface 10-by-6.25 inches, never feel restricted by space again. Improved papery textured surface, gives you a natural and realistic feeling of drawing on a lightly grained paper, prevents your pen from slipping around without compromising your artistic ability. Pen provides precise control of your cursor so you can draw accurately and efficiently. 8 customizable buttons on the side. 16 hotkeys along the top for erasing, zooming in and out, scrolling, which can be mapped to your own preferences. Can be used with left or right hand. The rechargeable pen is light and comfortable to hold, with 2048 levels of pressure sensitivity and 2 programmable buttons. Comes with a black glove which reduces hand friction and a carrying bag. Compatible with Windows 7/8/8.1/10 and Mac OS X 10.8.0/later versions. The Star05 features both wired and wireless USB capability: Simply plug the included USB receiver into your computer to draw wirelessly using the ISM 2.4G and FHSS, or connect to your computer with the included USB cable for standard wired use. Built-in lithium battery charges quickly and conveniently during wired use. 2.5 hours provides a full charge that lasts up to 14 hours. Battery-free stylus with 2048 pressure levels does not require charging. Six touch-sensitive shortcut keys allow quick access to most commonly used functions. 8” x 5” working area provides ample room to draw and paint comfortably. Compatible with Windows 10/8/7/Vista and Mac 10.7 or above operating systems. 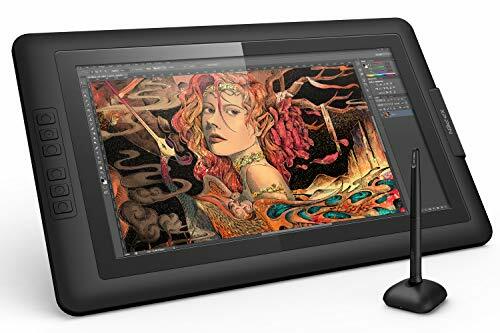 Works with most currently available drawing software, such as Photoshop, Paint tool Sai, Clip Studio Paint, etc. 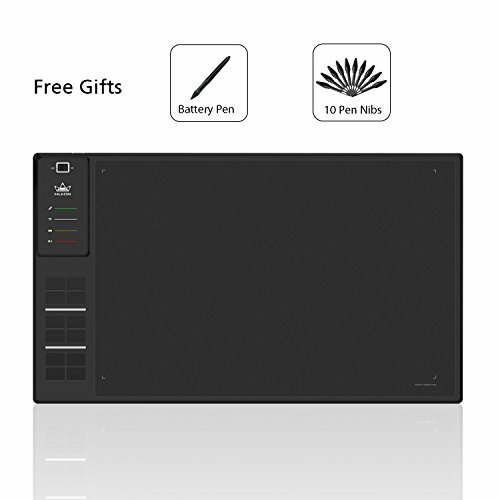 Get unsurpassed accuracy and performance from this 10 x 6.25-inch Graphic Drawing Tablet from Monoprice. 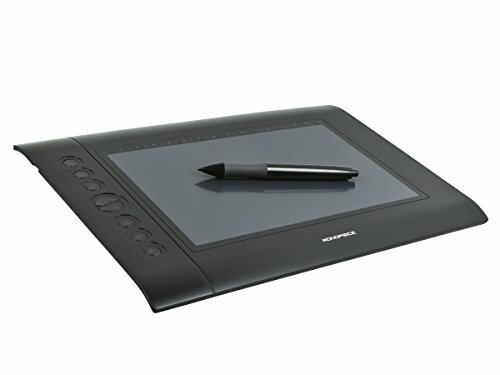 Features a 4000 lines per inch (LPI) drawing resolution, a 200 RPS report rate, and 2048 levels of pressure sensitivity. Eight user assignable Express Keys on the left side of the drawing area. Features sixteen user assignable Hot Cells along the upper edge of the drawing surface. The Express Keys and Hot Cells can be assigned to input specific keystroke combinations, launch applications, open web pages, send email, or to emulate a specific mouse function (e.g., left-click). Comes with driver/software utilities for use with Windows® (XP and later) and Mac® OS X® (10.4.x and later). Uses a USB interface and is physically compatible with Linux, though Linux drivers are not included. Compatible with all major graphics application: including Corel Painter, CorelDraw, Adobe Photoshop, Adobe Illustrator, Adobe Fireworks, Macromedia Flash, Comic Studio, SAI,Paint tool sai, Infinite Stratos, 3D MAX, Autodesk MAYA, Pixologic ZBrush and so on. Function as the cursor and the board as the screen, when you move the pen to the corner of the board, the cursor on your screen moves to the corner of said screen, etc. Can scroll documents and Web pages by pressing the middle button of the digital pen over the tablet's working area. (Only for Windows.XP/Vista/Windows 7, unavailable for Mac OS ). Three express keys - such as close current page, save current page. USB interface, Plug & Play- don't need to install external driver, very convenient. Writing and Drawing on the tablet is just like on the paper. 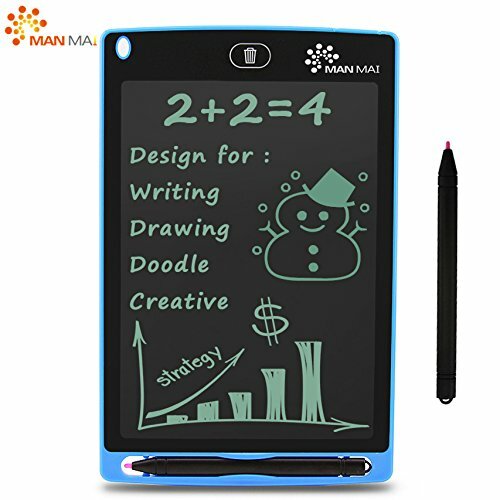 It's suit for kids writing, drawing, office memo board, fridge message board and can be used as a comunication tool. 0.18-inch thin and is easy to take in a purse, scheduler, briefcase or backpack. Never need to search for a pen or pencil again, writing or drawing with the included plastic stylus or any other suitable instrument, even your finger. Pressure-sensitive LCD writing surface creates lines of different thickness based on how hard you push. Erase your image with the touch of a button - and a friendly flash from the liquid crystal display. 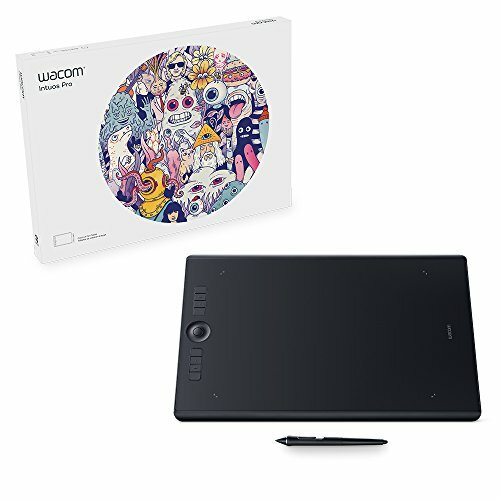 I hope this list has been helpful, if I left out a drawing tablet you think is important, let me know in the comments below. Have a suggestion for a future blog post? Please let me know in the comments below.